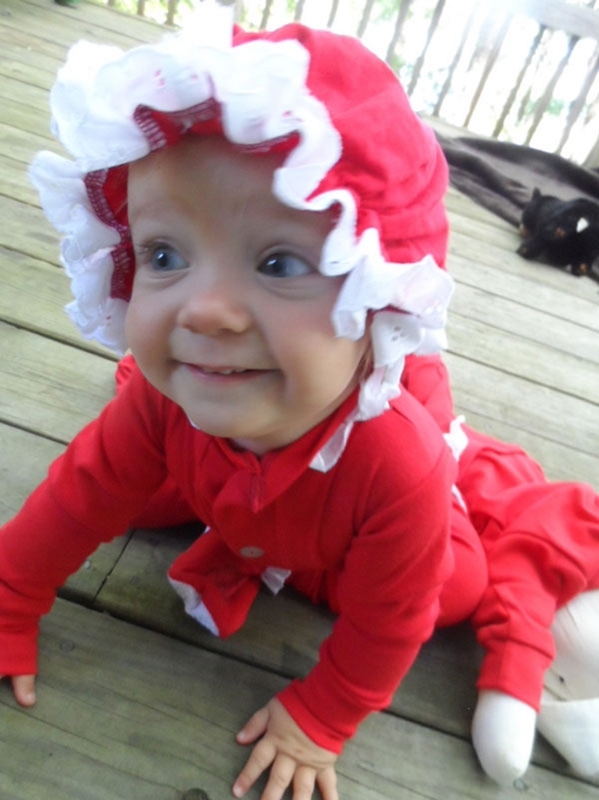 SPECIAL: Girl's Lace Longjohns with booties and get the granny cap FREE! 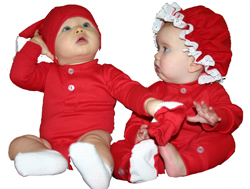 Buy the longjohns and the booties and we will throw in the cap for FREE! 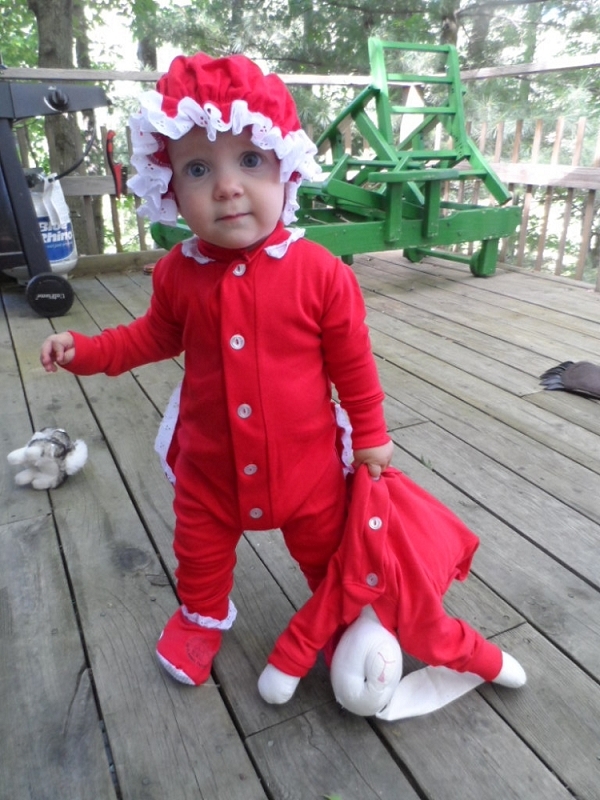 Infant Sizes: $40 Children's Sizes: $46 Great for winter sports or lying around the cabin! Turn your thermostat down and keep your flap up! Red knit. Made in the USA. 100% Cotton. Personalize it with embroidery of your special someone's name. All embroidery is in script font, white thread, with a max of 10 characters for an additional cost. Enter the imprint in the area provided. Other thread color and imprint options are available. Please call for more information on additional options.